Real estate home inventories are shrinking and demand from buyers is rising! There is happy news for sellers of single family homes in Andersonville/Edgewater and Lincoln Square in Chicago. The sales numbers are in and, as of October 2013, prices are up, inventory is down and demand is rising. While this is great news for sellers, we need more homes to sell in order to avoid an inventory shortage that can lead to a slowing of sales. 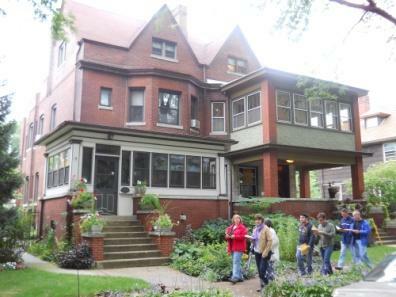 In October 2013, 88 homes sold in Lincoln Square, 111 are under contract and there are just 20 homes for sale. This reflects an 11% increase in sales and a 40% decline the number of homes on the market for sale. The median sale price is $587,776. Sellers are receiving on average 98% of their list price. Market time is down by 32% to an average of 77 days. Edgewater and Andersonville had 47 homes sold in October 2013, 50 are under contract and there are 14 for sale, a 25% decline in the inventory of homes for sale. The median price is $560,000. Sellers are receiving on average 96% of asking price versus 93% for the entire MLS area. Days on market are averaging 100 days, down approximately 3%. Given the increase in sale prices, and rising demand, we are looking to sellers to put their homes on the market in the coming months, helping to balance supply and demand. Please give me a call at 773-502-1673 if you are interested in selling or buying your home in the Chicago area.